NuclearBan.US is a 501c4 non-profit organization committed to the total elimination of nuclear weapons. On 7/7/17, the Treaty on the Prohibition of Nuclear Weapons was agreed at the United Nations by 122 countries and it’s the game-changer we’ve been waiting for! The 2017 Treaty on the Prohibition of Nuclear Weapons (‘Nuclear Ban Treaty’) established the first comprehensive ban on nuclear weapons under international law – making it illegal to possess, use, or even threaten to use nuclear weapons. Our organization is committed to using the Treaty as a tool to educate and mobilize people across the US to support nuclear weapons abolition. In particular, our Treaty Compliance Campaign is about getting individuals, businesses, faith communities, schools, organizations, cities and states to work towards ‘complying’ with the Nuclear Ban Treaty, by disconnecting as far as possible, from the nuclear weapons industry. We are calling this “Treaty Alignment” and it sends a powerful message to the government, to corporations, and to the public: Nuclear weapons are inhumane, and they are now illegal under international law. This will put pressure on the nuclear weapons industry and help convince the US and other nuclear nations to sign, ratify and implement the Treaty. We work to empower individuals at all levels to take action against nuclear weapons and contribute to the global effort to eliminate nuclear weapons once and for all. Together a nuclear weapons free future is possible. 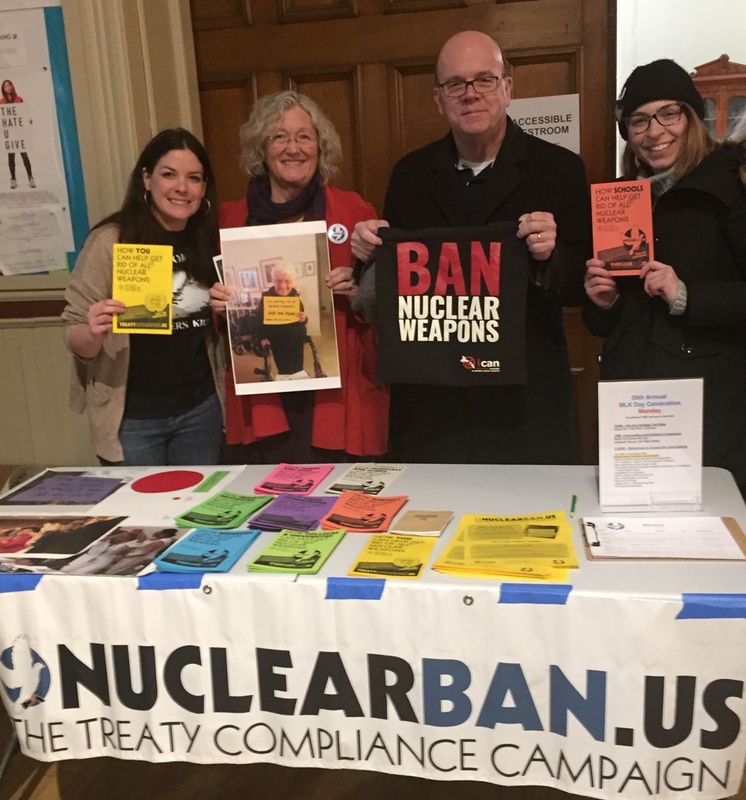 L-R: NuclearBan.US Campaign Coordinator, Lydia Wood, and Creative Director, Vicki Elson, with US Congressman Jim McGovern and Laura Britton, Legislative Aid to State Rep. Lindsay Sabadosa. Northampton, MA, Jan 19, 2019. As a campaign, we aim to be open, inclusive, cooperative, creative, enthusiastic, joyful, democratic, transparent and accountable. 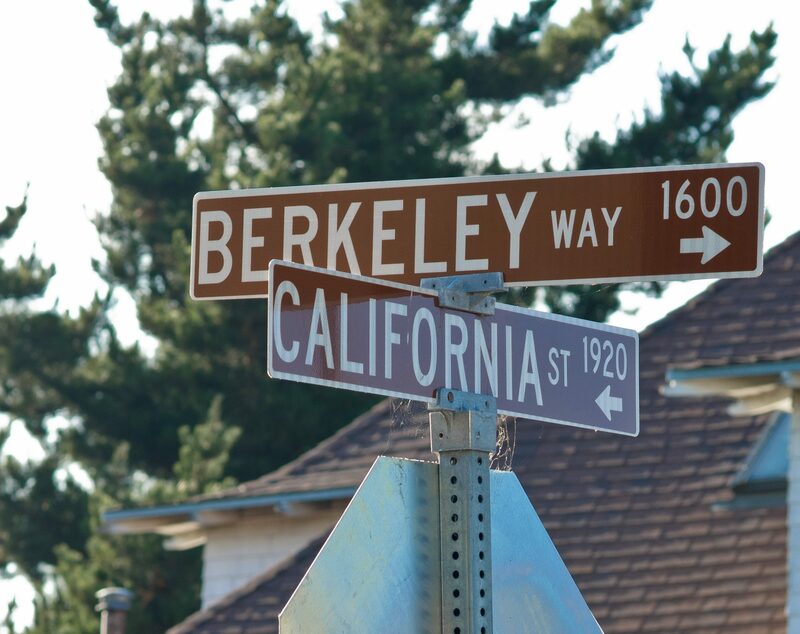 We celebrate our differences and encourage fresh thinking to find new ways to solve a 70-year-old problem. We are working for the total elimination of all nuclear weapons from the face of the earth. The 2017 Treaty on the Prohibition of Nuclear Weapons (‘Nuclear Ban Treaty’) makes these weapons illegal and unacceptable to the rest of the world. Our mission is to contribute to the total elimination of nuclear weapons by getting the US and other nuclear armed nations to sign, ratify and implement the Nuclear Ban Treaty. 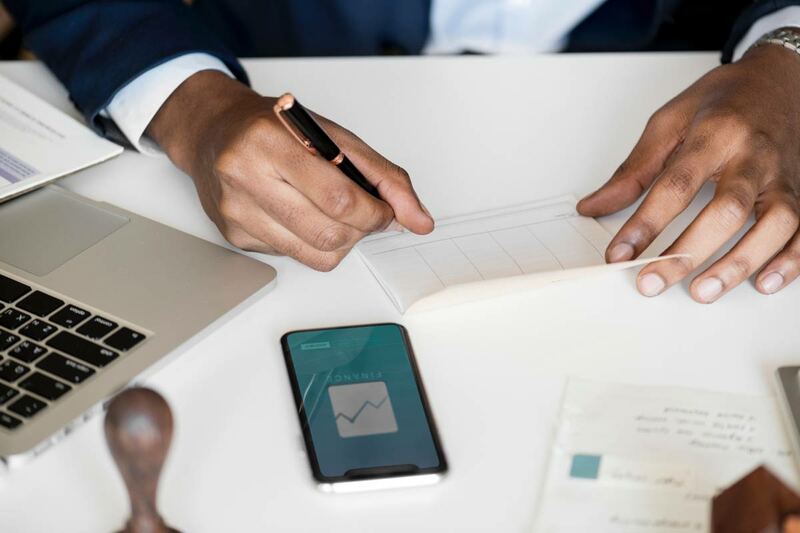 To get cities, states, institutions and individuals to disconnect from the nuclear weapons industry – as far as they are able – in order to align with the Nuclear Ban Treaty. To put moral, and public relations pressure on the companies involved in the nuclear weapons industry so that they lobby the government to sign the Nuclear Ban Treaty. To educate people about the continued threat of nuclear weapons and stigmatize the nuclear weapons industry, in order to put support for the Nuclear Ban Treaty on the political agenda to the extent that politicians cannot ignore it and see support for the Treaty as a vote-winner. To build a popular movement across the country that demands adherence to the Nuclear Ban Treaty in every possible sphere and entity. Join the campaign! Sign up now!